Fable - Food products pvt. 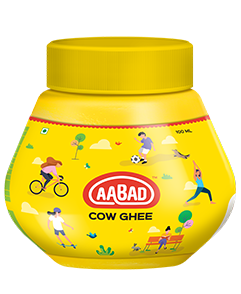 ltd.
Aabad Cow Ghee is premium cow ghee having antibacterial, antifungal, and antiviral properties. 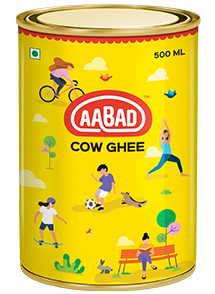 It has purity and essence of Homemade Ghee which enhances the richness and flavor of sweets, snacks and many more food items. 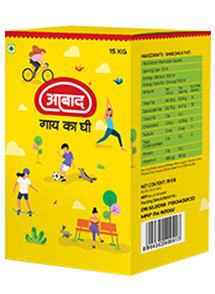 It is safely packed in air tight container to ensure its freshness and purity.